Our main service is at 10:15am Sunday Morning. Our services are evangelical in style and we hope we are relaxed and welcoming in nature. If children attend, there is no pressure for them to remain quiet and there is a children’s area with toys and activities. A small group of musicians and singers lead the songs – typically using worship songs from contemporary Christian songwriters, complemented by traditional hymns. 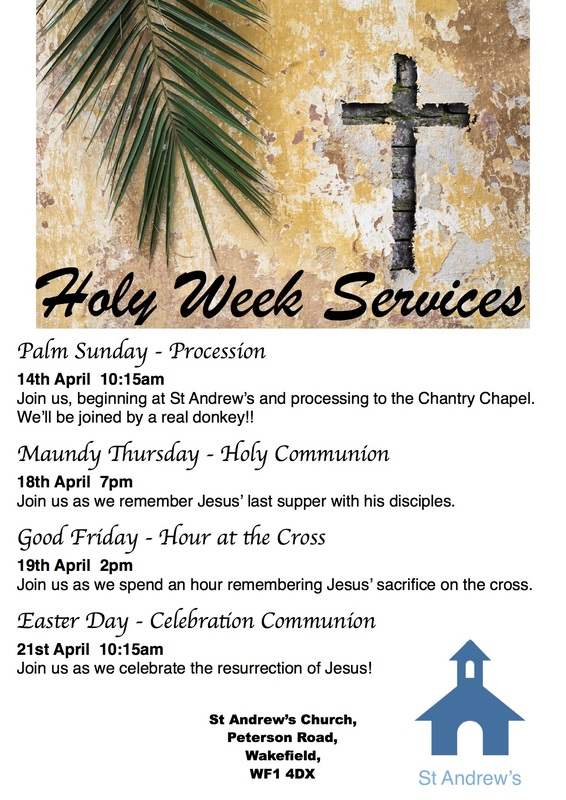 We normally worship at St Andrews Church (Peterson Road, Wakefield, WF1 4DX). On the second and fourth Sunday of each month we have a Communion Service and on the Third Sunday of each month we have a Service of the Word. On the first Sunday of each month we have a Communion Service at the St Swithun’s Centre (Arncliffe Road, Eastmoor, WF1 4RW). 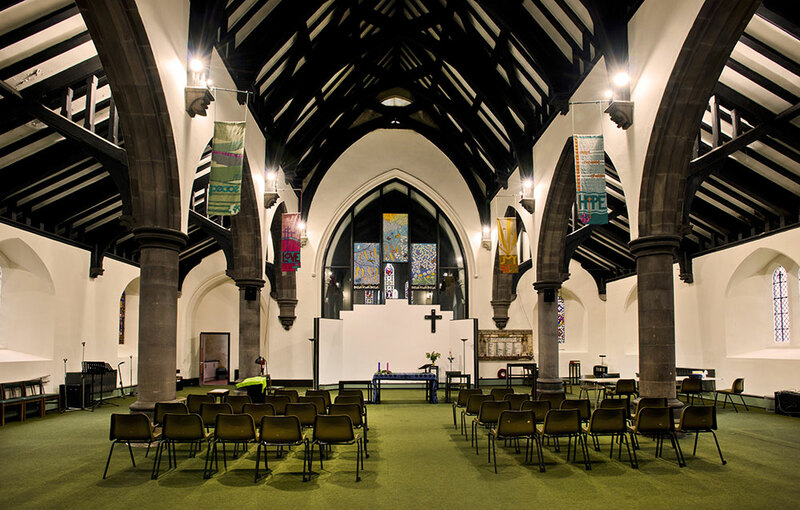 When there is a Fifth Sunday we have a joint service with our sister church, St Catherine’s (either at St Andrew’s or at St Catherines – Doncaster Road, Belle Vue, WF1 5HL).